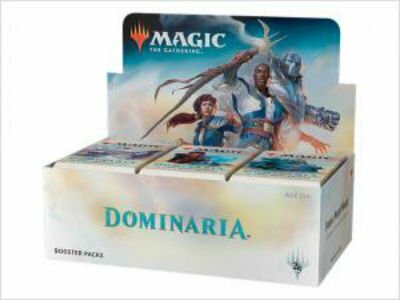 Each Dominaria Booster Box contains 36 booster packs from Dominaria. Each booster pack includes 15 cards to add to your collection—and you can expect one of those 15 to be a rare or mythic rare! Some packs even contain a premium foil card! Promo Buy-A-Box cards are only available for in store pick up orders and will only be available as supplies last.